16.4 GB download size Too large to download? Choose hard drive delivery at checkout. Four pristinely maintained classic vintage keyboards from the 60s and 70s performed by session giant Sean Hargreaves (Ella Eyre, Natalie Imbruglia, Michael Buble, Trevor Horn), and recorded by top London-based engineer Simon Changer (Bjork, David Gray, Jamiroquai) to give a truly 'Spitfire' take on electric pianos. These deep and pristinely crafted samples were developed by our Spitfire engineers and exhaustively tested by keyboard players for the most realistic response. 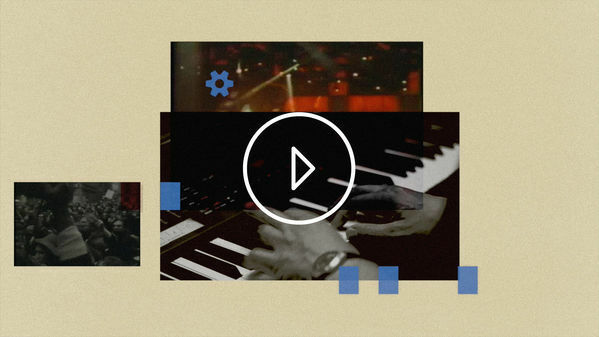 After years of experimenting and researching, Spitfire turns its hand to vintage electric piano sounds. "Could we make a difference?" we asked ourselves. By applying the Spitfire ethos to our recording process, we felt we could. 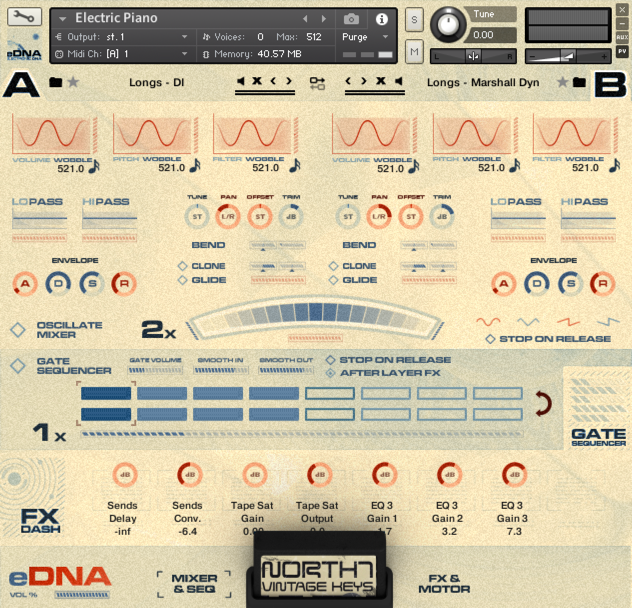 North 7 Vintage Keys is presented in Spitfire's innovative and incredibly popular eDNA engine, to take these classic signals into the 21st century. 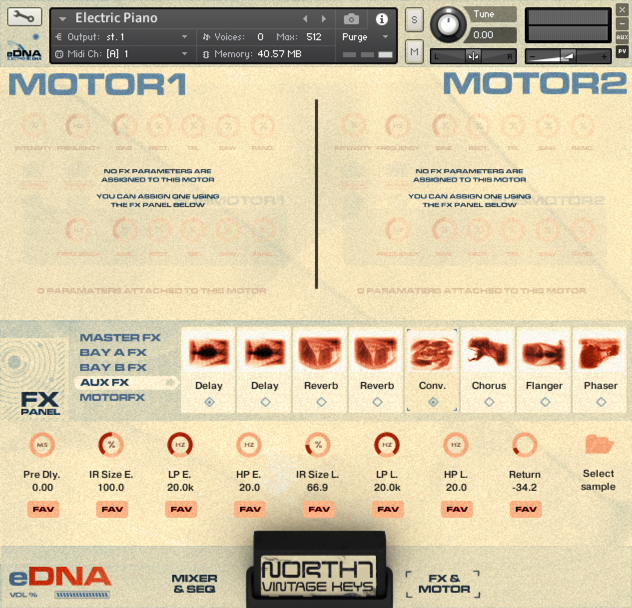 A host of over 100 presets designed by Spitfire founder and composer Christian Henson (Poirot, Inside No. 9, Alien: Isolation) offer you an insight into the potential of the library. Characterful, vibey and like no other vintage keys library, North 7 Vintage Keys offers you the opportunity to take these classics and make them your own. 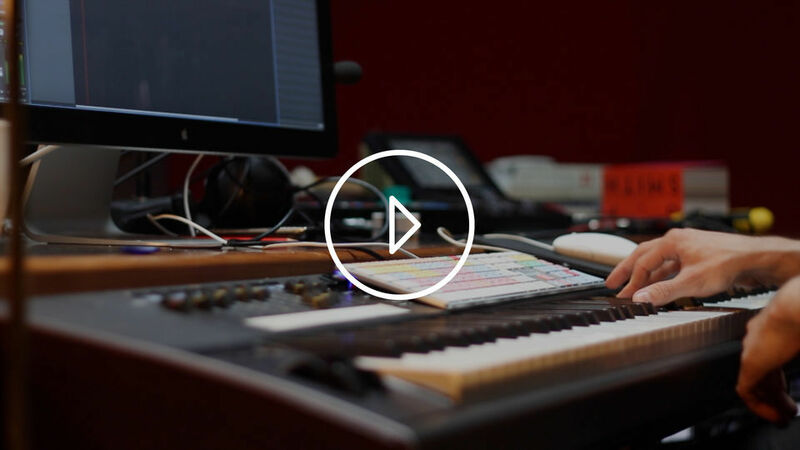 Our collaborators, North Seven Studios, are based at music industry hub Tileyard Studios in Kings Cross, London — the largest of its kind in Europe. Amongst this melting pot of innovation and experience sits producer and engineer Simon Changer (Bjork, David Gray, Jamiroquai) not only a talented force in his own right but an engineering magpie, who has built a studio from the finest fragments and polished jewels scattered citywide after the decimation of the London studio scene. This was our first port of call for the finest, most pristinely maintained unique signal paths in London today. A long time collaborator of Simon and partner in the North 7 Vintage Keys project is Sean Hargreaves (Ella Eyre, Natalie Imbruglia, Michael Buble, Trevor Horn) a keyboard wizard and producer, who has one of the most pristinely maintained collections of classic keyboard instruments we have ever come across. • 4 vintage keys, sampled "the Spitfire way"
• Deep sampled for ultimate character and realism with multiple takes and dynamic layers. • Tested exhaustively with session players for realistic response. • Presented in Spitfire's eDNA interface and instantly tweakable. Arguably the most successful electric piano of the 1960s and 70s, this 73-note instrument generates sound using keys and hammers in the same manner as an acoustic piano, but instead of strings, the hammers strike thin metal tines, which are then amplified via an electromagnetic pickup. Our favourite exponents of the instrument are Herbie Hancock, Stevie Wonder, Richard Tee, and Chick Corea, and appears on countless classic Jazz Funk, RnB, Pop and Rock tracks throughout the 1970s, possibly most famously on The Doors' Riders On The Storm. It features all over a plethora of pulpy crime caper films of the same era, from Dirty Harry to Towering Inferno, as well as Vince Guaraldi's soundtracks for Peanuts / Charlie Brown films and Vangelis' masterful score for Ridley Scott's Blade Runner. Arguably the clavichord's most famous incarnation is on Stevie Wonder's 'Superstition' written originally as part of a collaboration with Jeff Beck, with this instrument being used merely as an illustration of what Stevie wanted the guitars to do. The sound is produced by a harp of 60 tensioned steel strings oriented diagonally below the keys' surface. Each key of the simple keyboard action is a single lever element that pivots on a fulcrum point at the rear. A spring returns the key to the rest position. The unique playing feel of this instrument comes from this abrupt impact of the pad striking its anvil point against the string. The Clavichord responds well to guitar effects, especially the wah-wah pedal, as expertly demonstrated on the seminal Head Hunters recordings by Herbie Hancock. Not only a stalwart of RnB classics from Ray Charles to Donny Hathaway, this instrument found its way onto countless hits of the 70s and 80s with Elton John, Richard Carpenter, Edward Van Halen, and possibly most famously on Supertramp's Dreamer. The 64 note Stage Piano (known to many as a "Wurli") comprises a single steel reed for each key, activated by a miniature version of a conventional grand piano action and forming part of an electrostatic pickup system. We love it for its soft mellow tones at the bottom, and its biting totally transformed angry mid-tones when played harder and louder. ELECTRIC PIANO BASS: "FINGER BASS"
A much rarer, but no less pristinely kept instrument from 1962. The world's first dedicated keyboard bass instrument made uniquely famous by Ray Manzarek of The (bass guitar-less) Doors. His use of the electric piano bass was so iconic, his widow recently donated his model to the Rock & Roll Hall of Fame, dating back to 1962, with a serial number of 000463! 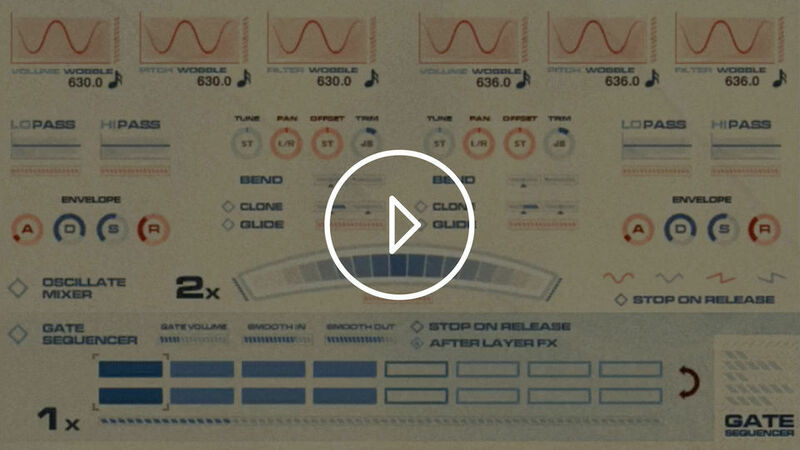 This set of samples enable you to create an amazing dub-bass and sub-harmonic Hip Hop style bass lines. Using the same technology as the "EP", the Finger Bass is an instrument finely tuned to provide the richest low end, with pump and attack you can only get with a piano style instrument.